KYIV. April 27 (Interfax-Ukraine) – Application of the Deep and Comprehensive Free Trade Area (DCFTA) between the EU and Ukraine should start on January 1, 2016, reads a joint statement of the 17th EU-Ukraine Summit in Kyiv on Monday. “The leaders look forward to the provisional application of the Deep and Comprehensive Free Trade Area (DCFTA) between the EU and Ukraine starting on 1 January 2016 and the positive impact its implementation will bring about. 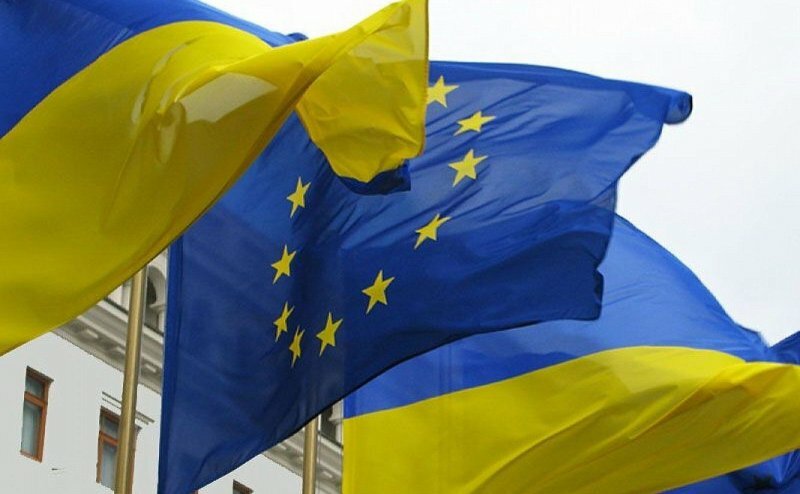 They also noted the importance of continuing the trilateral consultations on EU-Ukraine DCFTA implementation in a constructive manner, using the existing flexibilities available to the contracting parties in the DCFTA,” says the statement posted on the Ukrainian presidential website. Meanwhile, the summit participants noted that steering up of the reforms would be resolute from the point of view of political association and Ukraine’s economic integration to the EU. “It was the first Summit in the framework of the EU-Ukraine Association Agreement, implementation of which will represent a fundamental step in the process of deepening the political association and economic integration of Ukraine with the EU on the basis of respect for common values and their effective promotion,” reads the document. The leaders welcomed Ukraine’s strong commitment to an ambitious reform process. They welcomed the first reform steps taken by Ukraine in key areas, notably constitutional reform, decentralization, the fight against corruption, the reform of the justice sector, the restructuring of the energy sector and the improvement of the business climate. They underlined that implementation of these reforms will be key and should rapidly achieve further concrete results. The leaders agreed on the need to further accelerate the reform process on key systemic issues such as: the finalization of an inclusive constitutional reform, as well as the reform of the legislative framework in due time before local elections, the fight against and the prevention of corruption, the restructuring of the energy sector, and the reform of the civilian security sector. Besides, in the document the EU along with the Ukrainian leaders condemned the clear violation of Ukrainian sovereignty and territorial integrity by acts of aggression by the Russian armed forces since March 2014. “The leaders underlined their strong support for the efforts aimed at de-escalation and a political solution based on respect for Ukraine’s independence, sovereignty and territorial integrity, in particular in the framework of the Normandy format. They expressed their full support for the Minsk Agreements including the Package of Measures of 12 February 2015, endorsed by UNSC Resolution 2202 of February 17, 2015,”says the document. In addition, the participants of the summit called on all parties to swiftly and fully implement the Minsk Agreements and honour their commitments and underlined the Russian authorities’ responsibility in this regard. “The leaders welcomed the progress in the trilateral talks between the EU, Ukraine and the Russian Federation on the delivery of gas from Russia to Ukraine with the goal to increase the security of gas supply for Ukraine and its citizens as well as ensuring stable, sufficient and uninterrupted transit of gas to the EU,” says the EU-Ukraine joint statement. Moreover, the leaders reconfirmed their commitment to achieve the shared objective of visa-free travel provided that conditions for well-managed and secure mobility set out in the Visa Liberalization Action Plan are in place. “They welcomed the progress made by Ukraine underlining the necessity for a full and effective implementation of all benchmarks and emphasizing in this regard the importance of the upcoming release of the next progress report on the Visa Liberalization Action Plan ahead of the Riga Summit,” the participants said.